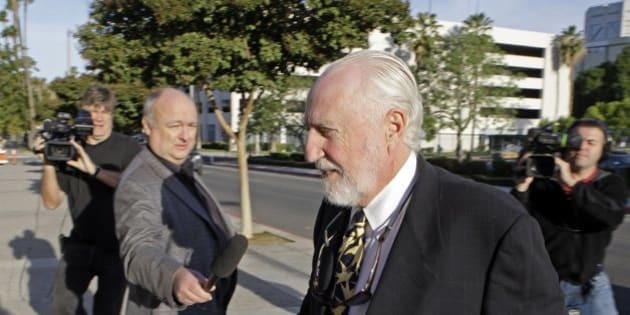 RIVERSIDE, Calif. -- Former Edmonton Oilers owner Peter Pocklington has been sentenced to six months in prison by a U.S. court. A judge in California ruled earlier this week that the 71-year-old had violated a term of his probation on a perjury conviction. A spokesman for the United States Attorney's Office says he must also serve six months house arrest. The prison sentence is to start Dec. 9. Evidence showed Pocklington submitted a false monthly income report to his probation officer last year. His lawyer had asked Pocklington not be sent to jail because he must care for his ailing wife, who recently suffered heart failure and received a pacemaker.